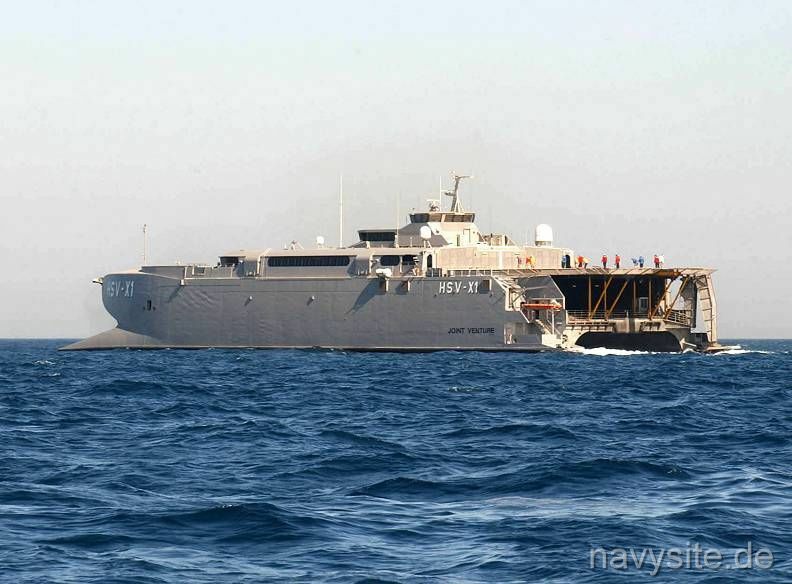 Leased jointly by the US Navy and the US Army in July 2001 for four years, the futuristic-looking catamaran was based on a successful car ferry design by Australian shipbuilders. 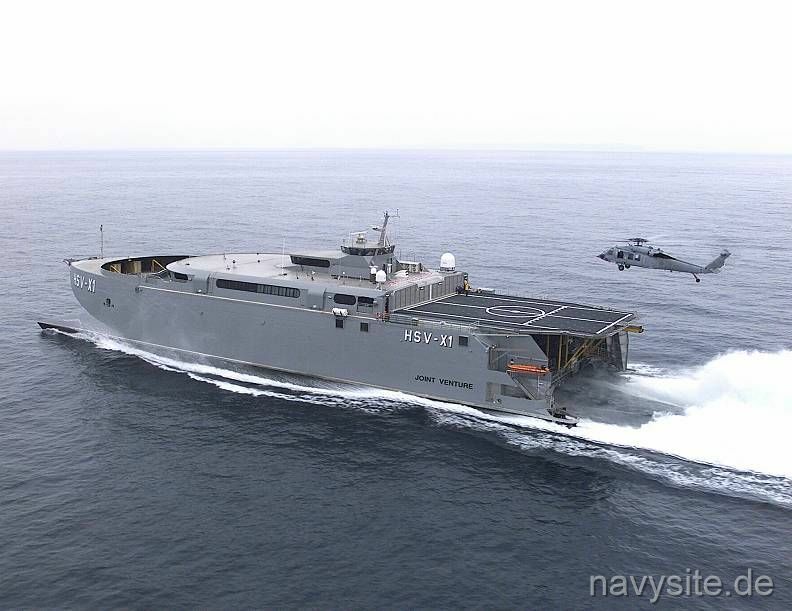 Modified to carry some 800 tons of military vehicles and equipment, as well as 360 people, the Navy was the first to test the ship's capabilities. 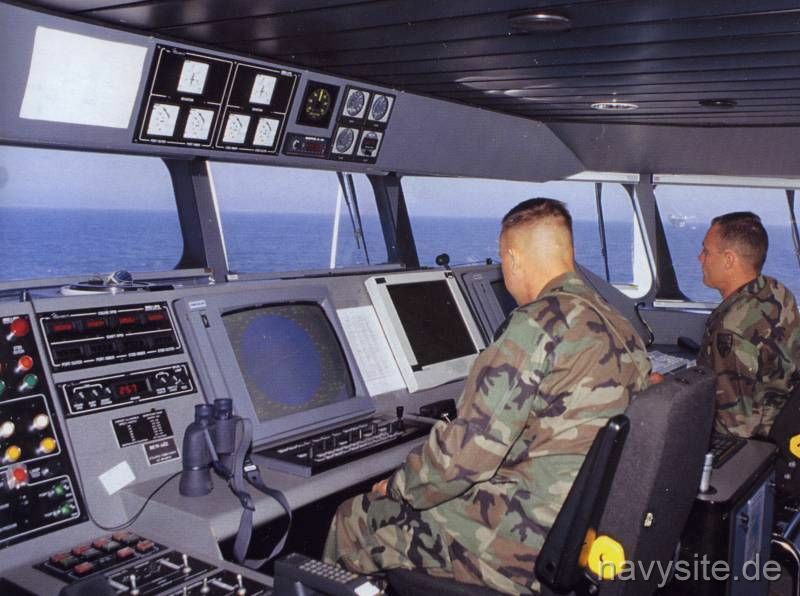 The Navy focused on countermine warfare, special-operations support and anti-submarine operations. A highlight of JOINT VENTURE's Navy evaluation was the participation in NATO exercise Strong Resolve in northern Europe in early 2002. 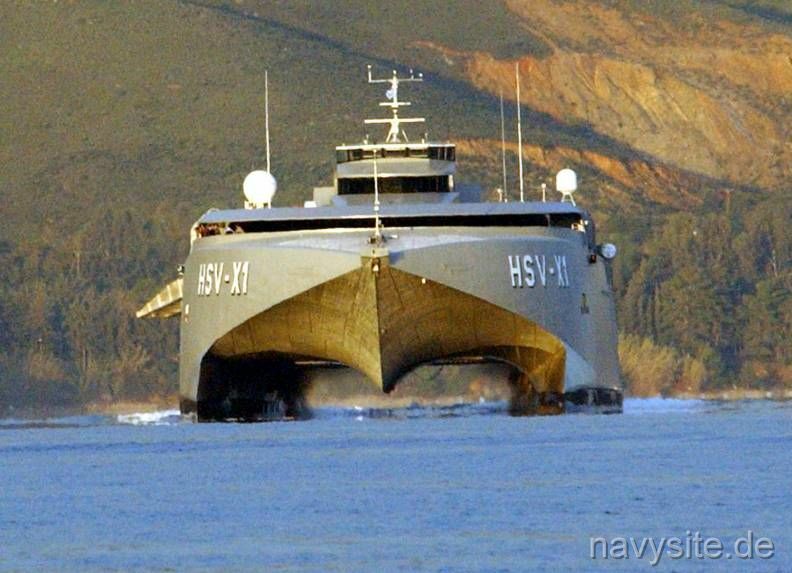 In April 2002, the US Army took command of HSV-X1 at Rota, Spain, and evaluated its capabilities as a high-speed logistics-support platform. The Army crew took the vessel across the Mediterranean, through the Suez Canal and into the Persian Gulf. 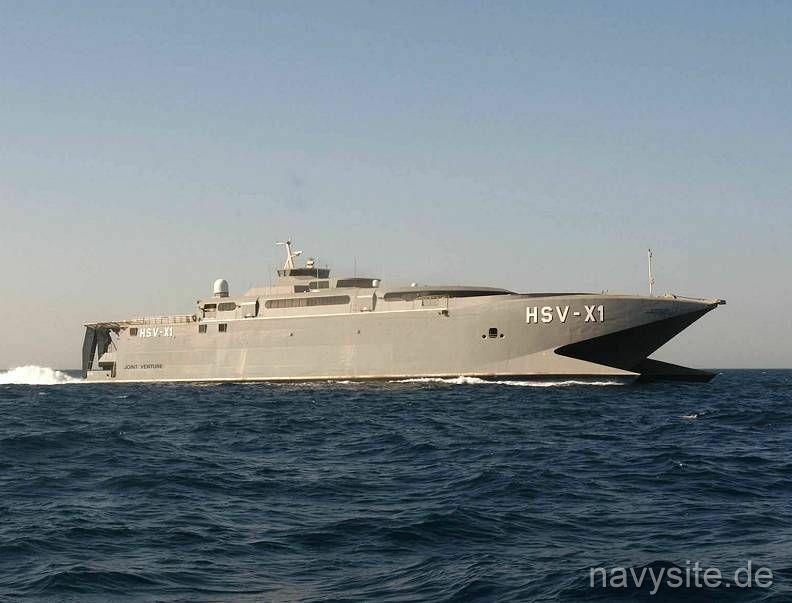 HSV-X1 operated there for two months, moving all types of cargo in support of Operation Enduring Freedom. 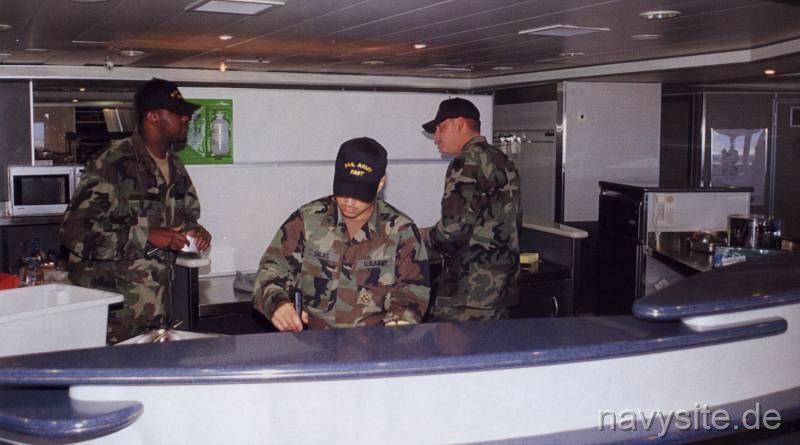 In its final mission in that region, the ship left the Gulf through the Strait of Hormuz, delivered cargo in the United Arab Emirates, then sailed for the US West Coast via Kwajalein Atoll and Hawaii. 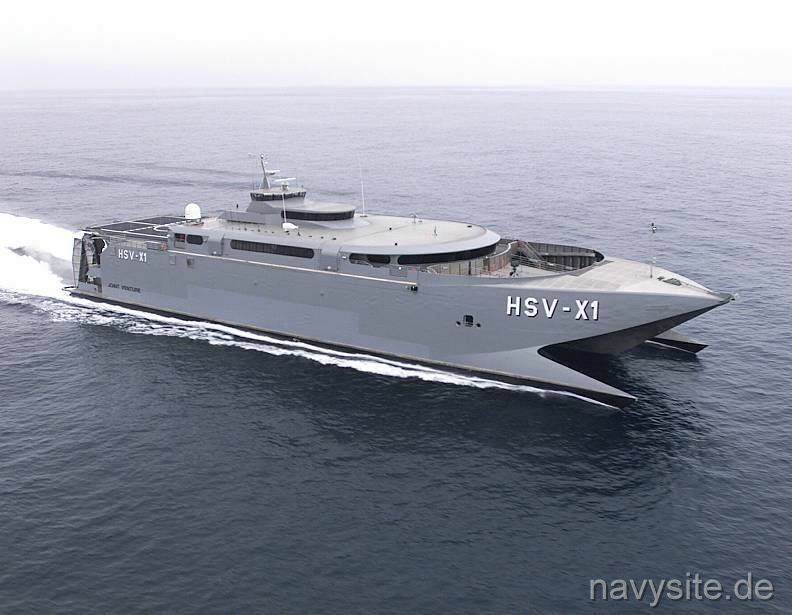 The first weeks of 2003 found HSV-X1 again in Navy hands until the ship was given to the Army again for a final evaluation period from mid-March through May off the US West Coast. 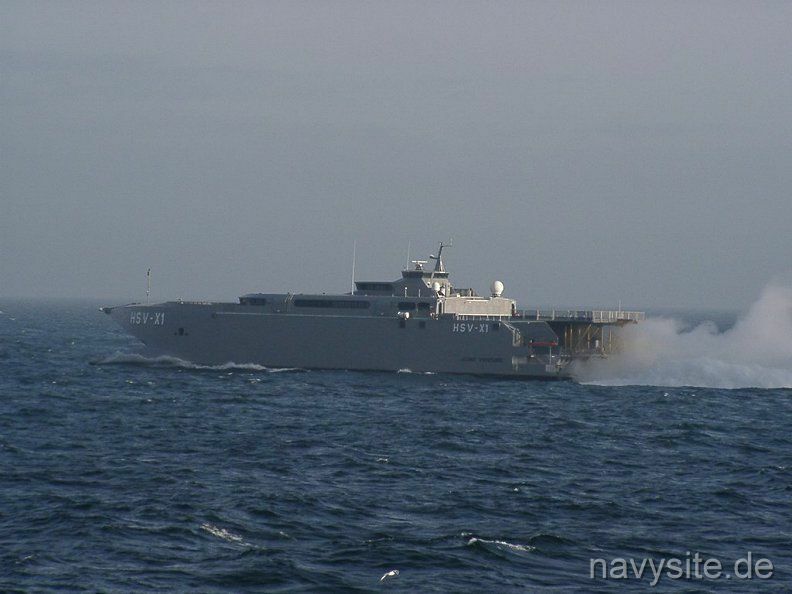 The photos below were taken by Stefan Karpinski during Exercise Strong Resolve in early 2002, when HSV-X1 operated under Navy command. 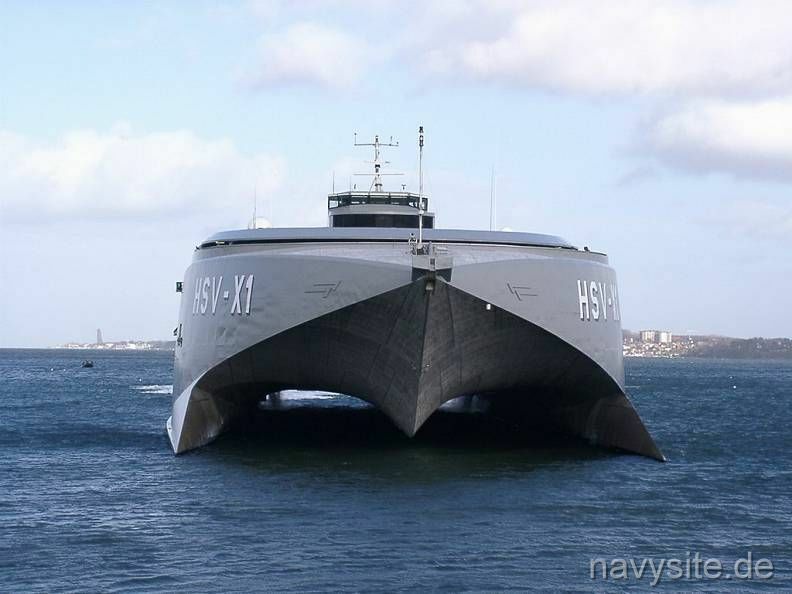 The first picture shows the HSV-X1 entering the port of Kiel, Germany, and the last two pictures show the vessel operating in the Baltic Sea. 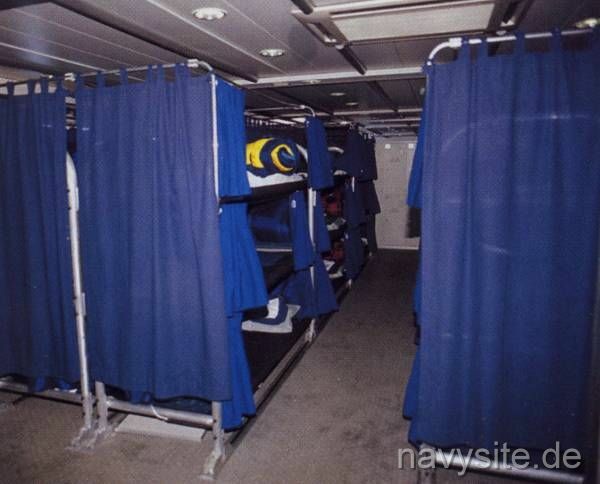 Back to High Speed Vessels Page. Back to Ships List. Back to Selection Page. Back to 1st Page.